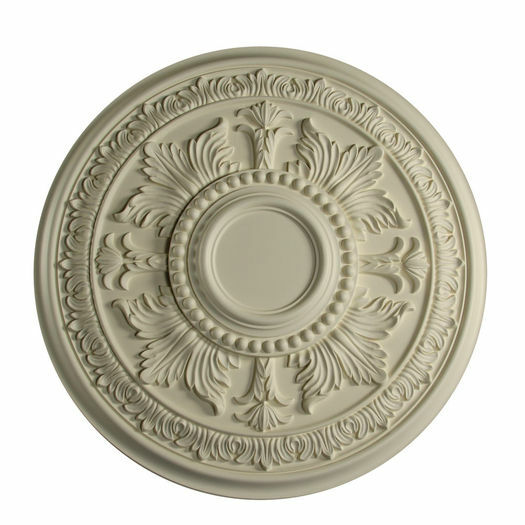 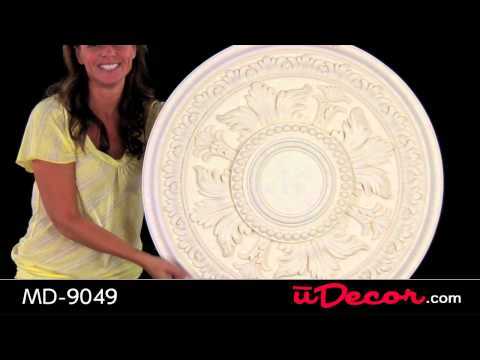 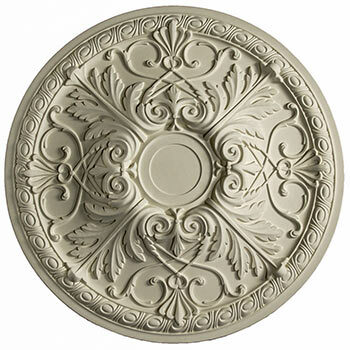 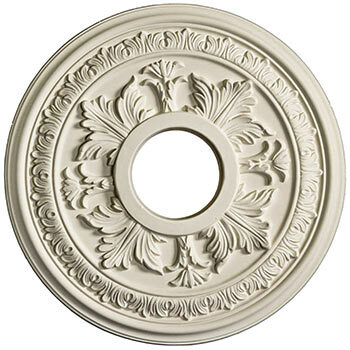 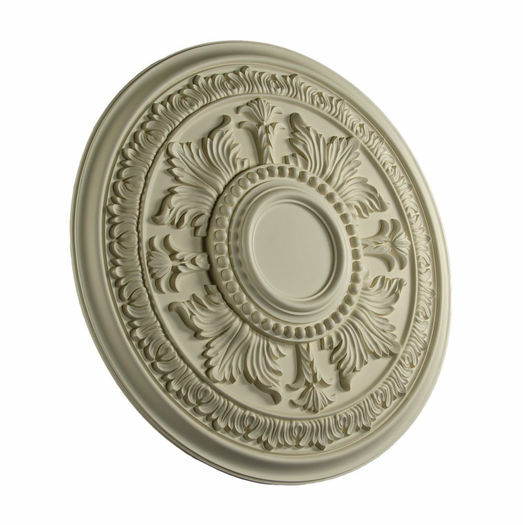 The MD-9049 Ceiling Medallion is 30-7/8" in diameter and has a depth of 2-5/8". Looks great with our new Chandelier. 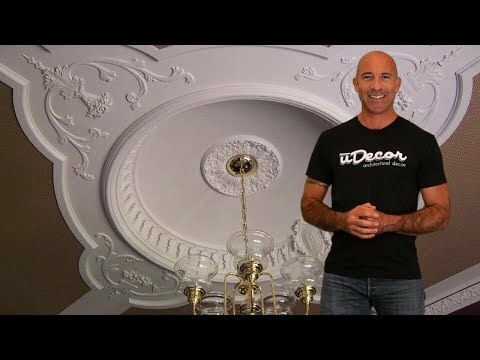 Looks beautiful in my 1890 dining room. 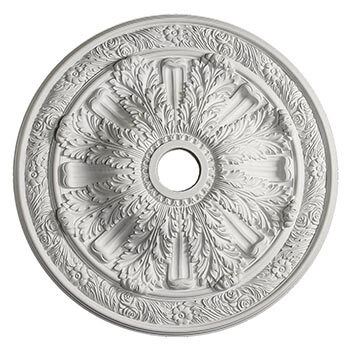 Easy to work with, lots of detail . 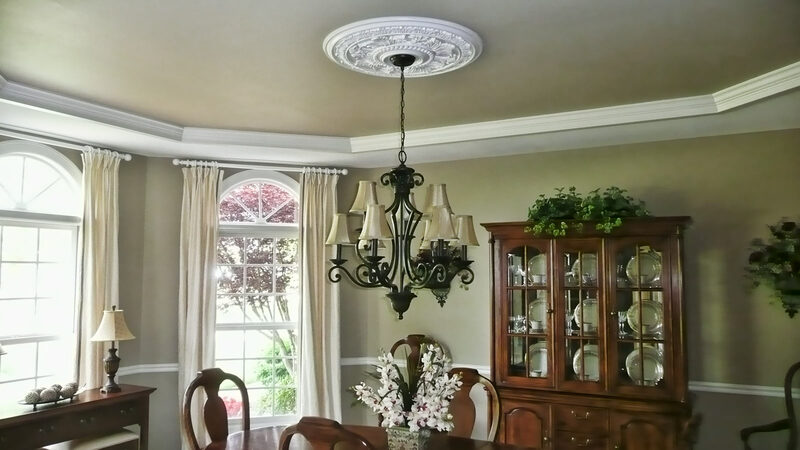 Looks like it was always there.